Cape Town, 14 December 2017 – The Cape Town Carnival, which takes place on 17 March 2018 has become a must-attend event for both locals and out-of-towners. With Cape Town having many other big events in March next year, its best to start planning your trip to the city now to ensure you can get flights and accommodation. It is a beautiful sunny time of the year and there lots of sights and activities to keep you busy, before and after the Carnival. For visitors coming from abroad, Cape Town International Airport was voted Africa’s leading airport at the 2017 World Travel Awards Africa, and is currently ranked at 22nd globally out of the top 35 airports in the world. It offers world-class facilities and has direct flights from cities all across Europe and the United Kingdom. Getting to your accommodation is made easy with car hire options, a taxi rank and the MyCiti bus rapid transit service that offers direct connections to the city centre. With Cape Town being a top tourist destination you are spoiled for choice when it comes to hotels, Bed and Breakfast facilities and top-notch backpackers. Best to book your accommodation soon, as March is peak time to holiday in Cape Town. Tsogo Sun, a partner to the carnival, has tailor-made packages to accommodate you for the weekend of the Cape Town Carnival. The package includes seats in the VIP stands, so you have the best vantage point to see the spectacular event. If visiting Cape Town for the first time, Table Mountain needs to be on your itinerary. It is one of the seven natural wonders of the world and boasts awe inspiring views of Cape Town and surrounds. It is also home to over 1500 plant species, most notably fynbos, unique vegetation found only in the Western Cape. “The theme for the 2018 Cape Town Carnival is ‘Mother City, Mother Nature’, and we will bring these magnificent plants to life in costume and dance,” says Brad Baard, creative director for the Cape Town Carnival. “Another great way to take in the sights and sounds of the Mother City, as she is affectionately known, is to take a trip on the iconic open top red buses with City Sightseeing Tours,” says Claus Tworeck, the CEO of City Sightseeing. The bus allows you to hop-on and hop-off at your leisure. It’s the perfect way to get that impeccable photograph of our magnificent coastline and breath-taking sunsets to share with jealous friends and family back home. The day of the Carnival why not head to the V&A Waterfront and enjoy a scrumptious breakfast with the best view in town of the harbour. With over 60 restaurants, there is a great variety to choose from. Firm favourites like Mugg&Bean, Vovo Telo and Tashas are great to get your morning fix. Take a walk from the V&A Waterfront towards Mouille Point and meander along the promenade, taking in the vistas of the beautiful beachfront. Pop into Newport Market & Deli, an institution in the area and enjoy a coffee from locally roasted coffee beans. Now that you are fuelled-up, visit the Green Point Park and enjoy the biodiversity garden and ponds inhabited by Egyptian geese. Green Point is home to many authentic restaurants and delis, so take a trundle down the main road and grab a bite to eat at Giovanni’s, where the friendly staff will help you choose the perfect Italian fare to keep hunger at bay. 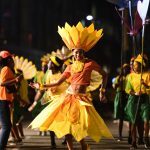 The Cape Town Carnival only kicks off in the early evening, but next year’s Carnival will host the Cape Town Carnival Village for the first time. “This is the perfect place to get into the carnival spirit,” says Jay Douwes, CEO of the Cape Town Carnival. It sells fantastic accessories to dress-up your look and you can get your face painted to standout in the crowd. Memorabilia from previous Carnivals will also available to take fabulous selfies with friends and family. Live Jazz music will be performed and refreshments will be on offer, so you can take a seat at the available tables and soak up the atmosphere. Every year the crowd is revved-up by the local fire-fighters who work tirelessly during the summer months when the city has many runaway fires to contend with. Make sure to get the best spot so you can rub baby oil on their buff bods, a yearly tradition. 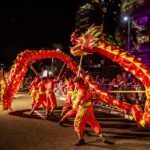 The Cape Town carnival is now in full swing, and be prepared to be amazed by the majestic floats that tower over the Fan Walk and energised dancers from over 48 communities dotted around the Western Cape. 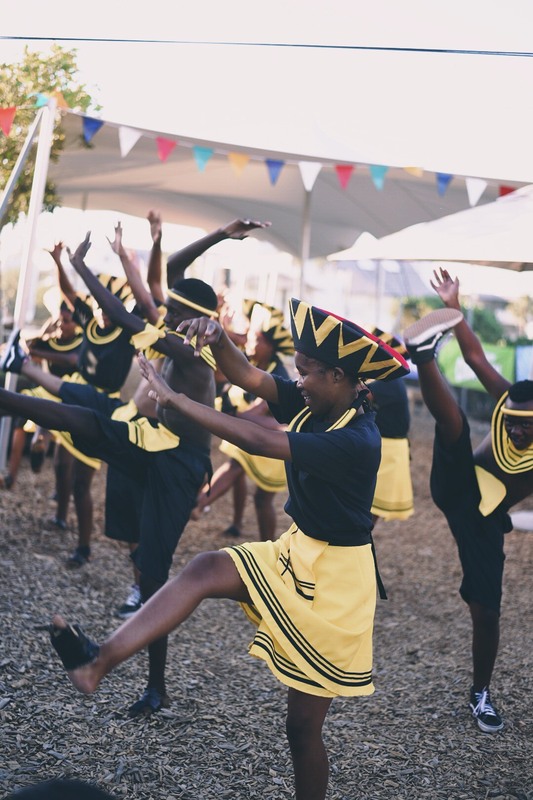 Next year’s theme promises to bring to life all the wonders that are Cape Town, from the harvest bringing abundance from the fields to the city to the city itself being built by her inhabitants. 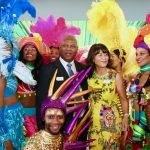 “Every year we are blown away by the creativity that makes the Carnival such a unique offering to the city,” says Rachel Jafta, chairperson of Media24 and the Cape Town Carnival Trust. Sponsors of the Cape Town Carnival include the National Department of Arts and Culture, MNet, DStv, the Western Cape Government, the City of Cape Town, Tsogo Sun and Kfm. Vendor Applications are closed for 17 March 2018 and will reopen Nov, 2018.